Never miss a call with Apple-approved in-line remote and microphone. Gold plated, angled, 3.5mm jack with a durable, easy-to-grip housing for a solid and reliable connection. Genuine leather and lightweight polished aluminum create an executive fit and finish. High quality materials and obsessive attention to detail are as much part of this new portable design as in our traditional loudspeakers. The Mikros 90 body is constructed from genuine leather and lightweight polished aluminum to provide years of lasting enjoyment. Included with each headphone is a compact carrying case to assure safe stowage when traveling. Each pair of Mikros 90 on-ear headphones includes soft replaceable ear pads that provide a snug fit which isolate up to 92.05% of ambient noise and provides outstanding sound quality with naturally deep, extended bass and an open, revealing midrange. A 90-degree gold-plated jack and simple, yet durable, black rubberized cord dampen and isolate noise that can be transmitted through contact and movement, transmitting the most subtle nuances of recorded sound—and nothing else. Mikros 90's have an Apple-approved, in-line remote and microphone that controls volume, play/pause, track selection, and voice control, and allows seamless transitions between listening to music and phone calls on compatible Apple devices. The remote and microphone also function with a variety of smart phones, digital media players, and similar devices* with a standard 3.5mm 4-conductor socket. *Exact function of the remote will vary by make and model; MartinLogan cannot guarantee compatability with speciific brands or models. A lightweight, polished aluminum extension tube easily expands for precision sizing and comfort. Pros: Bought a 50ft usb extension cord and hooked these up to the end of a Turtle Beach USB soundcard. My source is clean. These headphones sound incredible! Fits my head nicely. Perfect bass, clear mids and highs. You must use a good source to hear these shine! Cons: Cord to short and thin. Other Thoughts: Cons easily fixable. Get these, sounds incredible! Pros: Got these for 39.99 on a egg special. they are a bit tight, but reversing them is much better fit. I plan on stretching them out. They are tight but ive had worse. The sound is superb. I have def tech speakers and prefer higher end stuff. These do not disappoint. The highs are great, mids and lows are good. Sound stage is excellent. Pros: None, I paid $130. over a year ago, and there is nothing special about these cans, there are many brands and models that are cheaper and perform better. the only pro is that you can bend them to fit your head and also they have good workmanship and are supposedly leather. 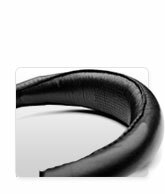 Other Thoughts: I can't believe the designer could have made this product go into market I can't believe any people at Martin Logan can allow this out as reference headphone. ML guys, please grab some decent headphone in the market in the $50-100 range and listen all of them and recall this one from the market. Redesign from scratch and test if you really want to make one headphone. I never owned any Martin Logan. 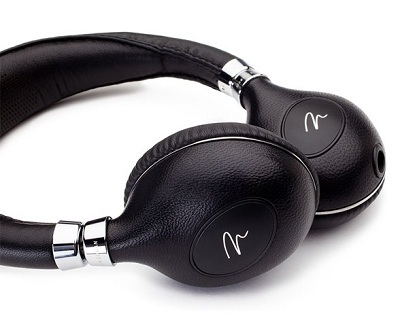 Though the brand is not high end but it seems to be decent one for ordinary joes.I am only casual semi audiophile. I have a Sennheiser HD 650, RS 220, and a few more earbud and headphone in the range of $25 -- 200 and a few Creative and Logitech headphone, SONY and others at around $60 range. To be honest, this head phone overall is only worth $50 even with it's good look. I am considering return it because wearing it is like being clamped by a crab on the head. It made me not to want to listen anything. Cons: If you have a large head they will fit tight, and may be uncomfortable if worn for a long period. 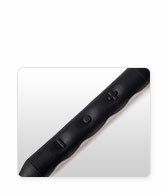 Other Thoughts: You just can't beat the price for a Martin Logan product. Pros: Build quality, SQ, particularly in sound separation, Mid-range and highs. Lightweight with good noise isolation. Cons: Aesthetics isn't that great. Sure it isn't a bad looking pair, but if anyone unfamiliar with the brand were to see them, they won't make any particular impression. Fit can be a bit finicky, and can take some time to settle onto your ears. Does clamp on tight. Other Thoughts: I just un-boxed them and am listening to them as I write this first impression. This isn't an in-depth review since they've been pumping sound for the last 15 minutes or so. 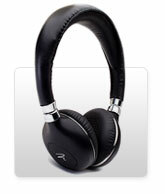 From what I've heard however, they are incredible headphones for the price with lots of potential after burn-in. I own similar headphones such as the venerable Audio-Technica ATHESW9A as well as lesser models like the Sennheiser HD239 and Bose AE2. The Bose and the Sennheisers are outclassed by these headphones, which is understandable for the MSRP. However, these can be had here on Newegg for a steep discount on the right moments. 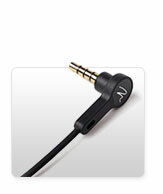 When I saw them here on sale, I grabbed the chance since they had garnered good reviews on Headfi. Yes, there are some bad ones as well, but the critical deciding factor for my decision was price and the fact that the good reviews were overwhelmingly good from some reputable members. That was enough for me so I don't regret the decision. These headphones out of the box scream potential. The sound is nice and balanced, with a clean mid-range that is forward and intimate. The instrument separation is good, and the sound is full, and not overly warm like the Audio-Technica. The lows are a touch light, but are actually nicely balanced and neutral similar to the AKG Q701. I love bass, but I can easily appreciate the sound from these headphones. Compared, the Sennheisers despite being excellent and well balanced, feel lacking in detail and sparkle. The Bose. Well, they're pretty much toys in comparison. These may be the most affordable pairs of headphones you can buy for critical listening if you buy them at the right time. If you see them on sale, GET THEM. For their low price, you will not find a better pair. Just listening to these pre-burned, I am excited to see what they will sound like after a proper burn-in. Pause/Resume works with Android, which is about the best one can hope for in a "Not Designed for Android" world. Other Thoughts: I DID figure out that the person who designed these must have REAR-FACING ears. If the headphones are REVERSED, L/R, then they actually fit very nicely, if a bit snugly. Of course, with L/R sound channels also reversed, that's a separate disaster. But, I've located a 3.5mm M/F L/R Channel Reversing Adapter which promises to cure the problem. We'll see. If not, I'm savvy enough to rewire the headset itself, though I'm hoping to avoid a such tedious endeavour. For $60, I consider these a good deal.